KaingU Lodge is in the unique position to expand its activities to an area of the Kafue National Park that for many years has been completely inaccessible. 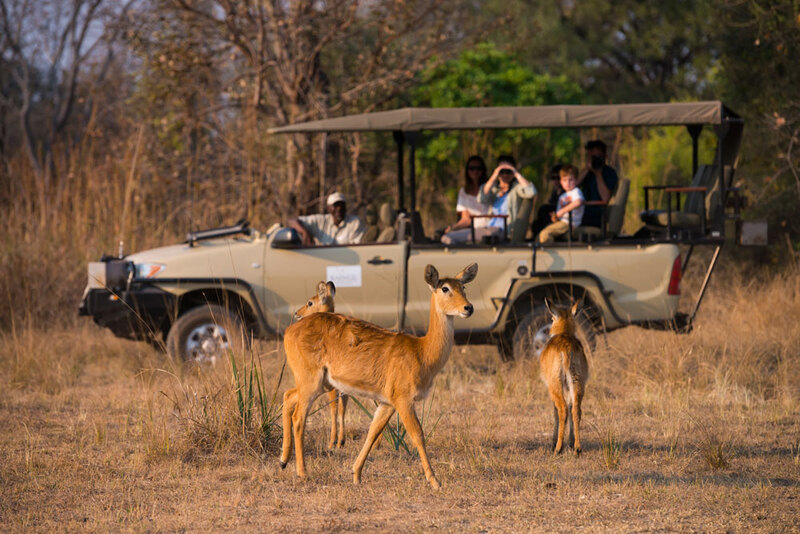 The majority of our game drives are now conducted in the National Park, a ten minute boat ride from the lodge. The new vehicles are outfitted to our design to an extremely high standard with individual comfortable bucket seats. With short and longer loops available as well as the entire length of the (all weather) spinal road game drives can be tailored to individual wishes and can be from a couple of hours through to a whole day expedition. Drives on the Game Management Area side of the river are also conducted, but tend to be short night drives back to the lodge after a walk and sundowners.